Hilary Molloy is a wildlife and landscape artist that we are thrilled to welcome here to the Kilbaha Gallery. Hilary has made North Clare her home; which, as an artist, is hardly surprising considering her current surroundings now range from the Burren to Ballyvaughan and are a constant source of inspiration. We describe Hilary’s style as sitting comfortably somewhere between realism and impressionism – the kind of painting that evokes emotions and memories and feelings. Still waters, animals, beautiful moonlit nights, stunning sunsets; colours and forms almost melting fantastically into one another and yet still perfectly real. Hilary’s work is the kind of painting you can look at endlessly and yet feel something different stir within you every time; kind of like looking at nature itself to be honest. 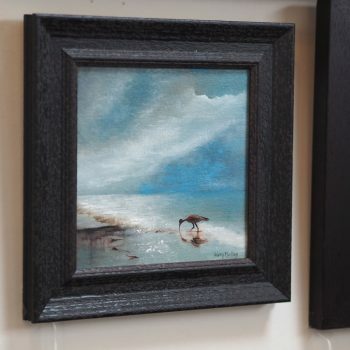 Self taught, Hilary’s work is regularly exhibited in many galleries around the country and we are delighted to be adding her to our growing list of resident artists. 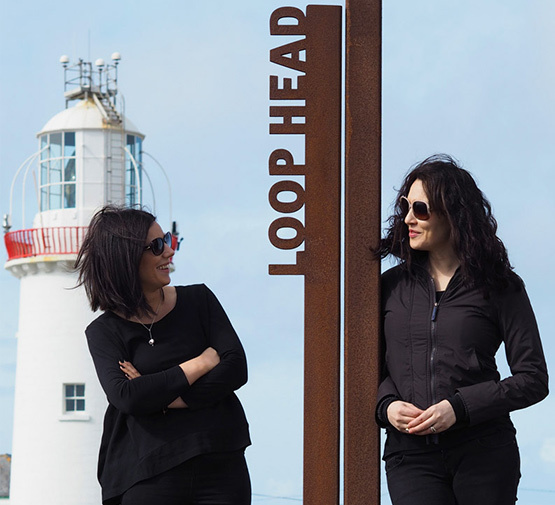 The Kilbaha Gallery is run by co-owners (and sisters-in-law) Ailish Connolly and Liz Greehy; two ladies whose combined love of art and of place meant that they would be forever passionate about their business.